The human trafficking industry is a complex system that needs to be replaced by another more powerful system. A united, holistic approach to the problem is necessary if we are going to see true lasting change. When we speak and act as one, the Church has the potential to be an incredible force for good on earth. We can have a powerful impact on the culture, and in the lives of countless individuals. Collectively our voices and actions can transform our cities. Through the Alliance, churches are given a direct connection to the immediate needs of trafficking victims and are given a voice among influential places with government and on various task forces and coalitions working to move the needle of justice forward. Every congregation in the Alliance has two representatives that act as liaisons between their church and the Alliance. The Church Council meets quarterly to engage with one another, get updates from the field and better understand the work of the various partners of the Alliance.  All Alliance Churches give annually into the Alliance. This supports the work of the Alliance and helps fund strategic projects on the front lines that are crucial to the success of the movement. Funding is given where it’s most needed and when it’s most needed to be the most effective.